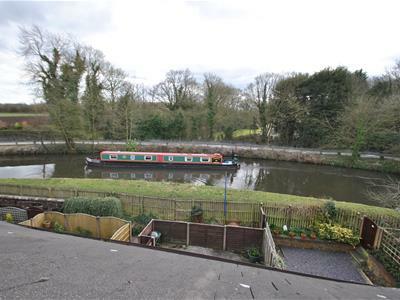 NO ONWARDS CHAIN - OVERLOOKING 'THE BRIDGEWATER CANAL' - QUAINT VILLAGE LOCATION. 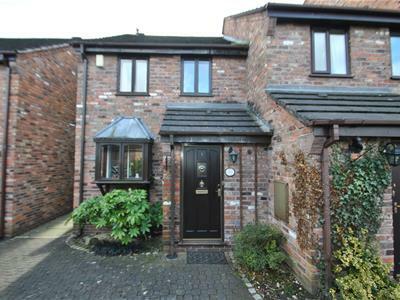 - THREE BEDROOMS - Bordering the picturesque village of Grappenhall, this three bedroom end of mews property has a particularly good position overlooking the canal. 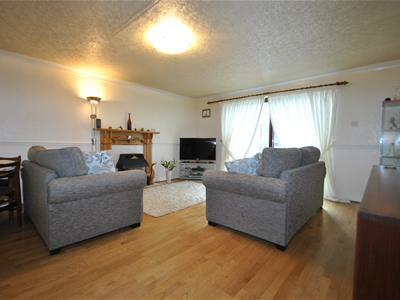 The accommodation is over three floors and includes an entrance hall, guest wc, kitchen with fitted appliance, 19ft lounge/dining room, and conservatory. 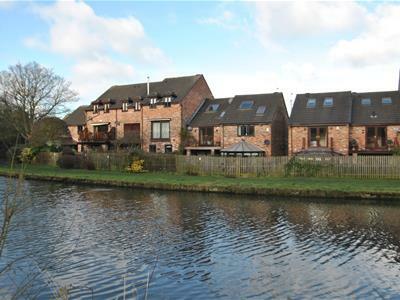 To the upper floors there is flexibility to the accommodation which includes three bedrooms, main bathroom and a fantastic studio/bedroom which offers fantastic views over the bridgewater canal. Externally there is a private courtyard for parking, garage with additional storage to the first floor. 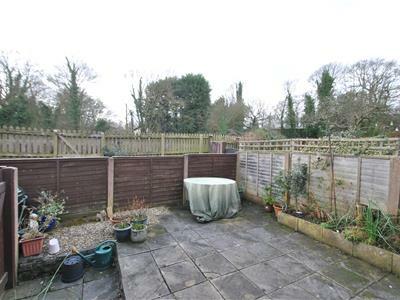 The property comes with side gate access and a low maintenance rear garden. Set in a highly sought after residential location with views backing onto the canal this fantastic town house offers spacious accommodation including an entrance hallway, cloakroom with two piece suite, fantastic kitchen which has been fitted with a range of matching eye and base level units and integrated appliances, lounge/diner with a feature fireplace and patio doors leading into a conservatory with French doors onto the garden. 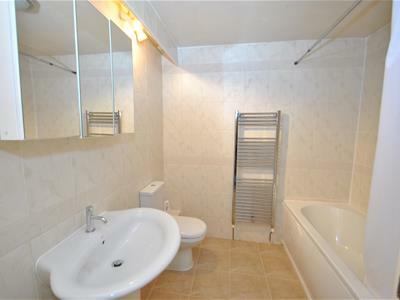 To the first floor there are three bedrooms and a bathroom which is fitted with a three piece suite. 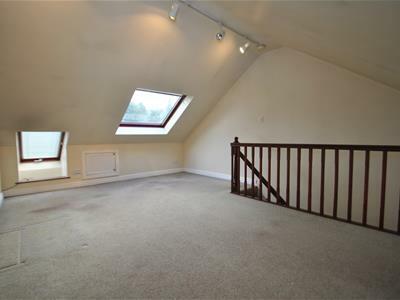 In addition there is a good sized loft room. 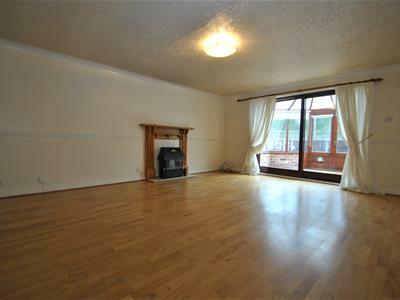 The property is warmed by central heating which is complimented with double glazing. An internal inspection is highly recommended at the earliest opportunity. Panelled and glazed door, ceiling coving, dado rail, solid wooden flooring, staircase to the first floor. A range of matching eye and base level units with concealed lighting, Smeg four ring gas hob with oven and hood, one and a half bowl sink with drainer unit set in heat resistant roll edge work surfaces with complimentary tiling, two glazed wall cabinets, freestanding dishwasher, plumbing for a washing machine, space for a tall fridge/freezer, box bay window to the front elevation with secondary glazing, tiled flooring and a central heating radiator. Feature fireplace with coal effect fire with tiled hearth and marble back and wooden surround, ceiling coving, dado rail, central heating radiator, television point, telephone point, patio doors to the conservatory and solid wooden flooring. Brick dwarf wall wooden frame structure overlooking the garden and canal, tiled flooring, fan and light, French doors and two wall light points. Ceiling coving, dado rail, staircase to the second floor. 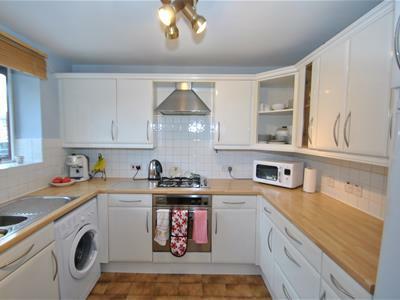 Located to the rear elevation with windows overlooking the Bridgewater Canal, two double wardrobes and drawers and a central heating radiator. 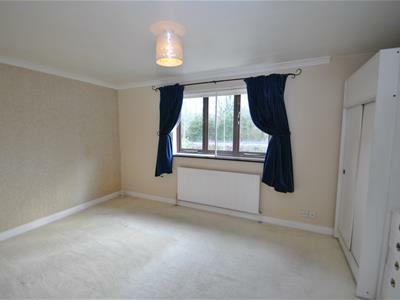 Window with secondary glazing to the front elevation, ceiling coving, central heating radiator, laminate flooring. Window to the front elevation, central heating radiator and staircase to the second floor. 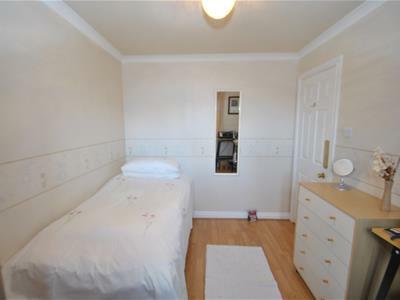 White three piece suite including a panelled bath with shower over, pedestal wash hand basin with mixer tap, low level Wc, fully tiled walls, tiled flooring, wall mounted cabinet with mirrored door, spotlights, extractor fan, tiled flooring, chrome ladder style central heating radiator. 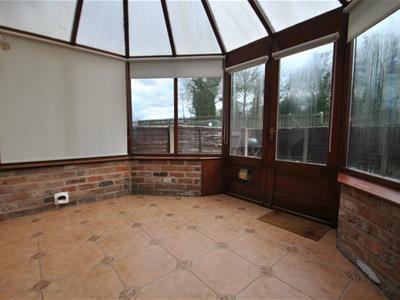 To the rear if the property there is a low maintenance paved garden with views backing onto the Bridgewater Canal and gated access.